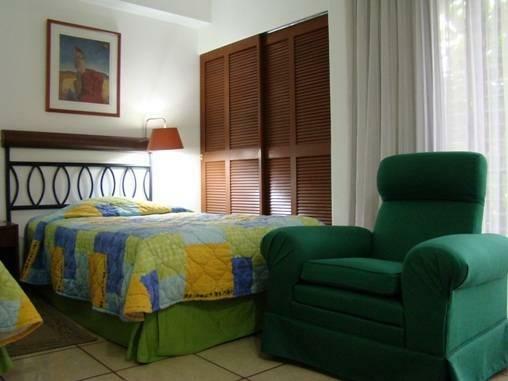 ﻿ Best Price on Novo Hotel & Suite in San Salvador + Reviews! Located in the center of San Salvador and near to José de la Montana Church, Novo Hotel & Suite offers an outdoor swimming pool and well-equipped studios. Set in gardens, it features an à la carte restaurant. Each air-conditioned studio at Novo Hotel & Suite has simple, bright décor. There is a seating area with a sofa and cable TV. The kitchenette has a microwave upon request, fridge, oven and coffee maker. There is also free Wi-Fi. Guests can enjoy a buffet breakfast, lunch and dinner in the Novo’s restaurant, which serves international and Salvadoran cuisine for dinner. San Salvador’s historic center is just 5 minutes’ drive from the hotel. A shuttle service to the city’s airport is available at an additional cost. Everything is fine in this Hotel. The only thing that can not acceptable is the internet service too slow and weak signal. has all you need where you need it! Nice breakfast, included with the room, great staff, nice big rooms, always ready to help you! Taxis ready, and more to help you get around and find what you need!